MASVINGO Provincial School of Nursing has received a stove, refrigerator and 200 litres of diesel from Zanu-PF officials that will help ease problems the institution has been facing in its quest to train nurses. Masvingo Urban losing candidate Cde Taguma Mazarire, donated the four-plate stove while Deputy Mayor Councillor Wellington Mahwende donated the refrigerator and losing Ward 3 candidate Cde Allen Sibanda donated the fuel. 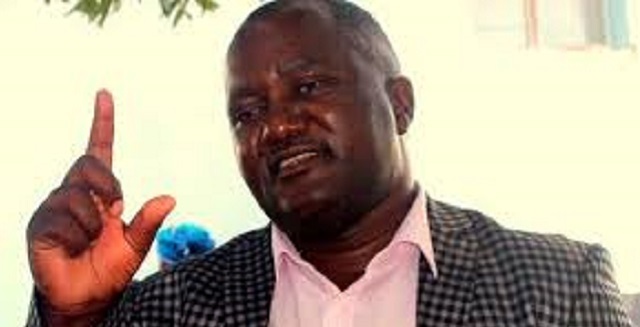 The Zanu-PF members donated the goods during a tour of Masvingo General Hospital last week by Minister of State for Provincial Affairs, Cde Ezra Chadzamira after student nurses appealed for the assistance to help in their education. The students told Cde Chadzamira that the school was facing a number of challenges among them failure to undertake rural trips which are part of the training curriculum, due to fuel shortages. Provincial Administrator Mr Fungai Mbetsa said there was a need to improve linkages between the hospital and the business community to address the challenges. “Challenges that this hospital is facing do not always call for Government intervention but our local community. The politicians and business community should always give a helping hand, as part of contributing to the health delivery in Masvingo Province,” said Mr Mbetsa. Cde Chadzamira said finding solutions to local problems was part of devolution which is already being pushed by the Government. “I have been told by the medical superintendent, Dr Julius Chirengwa that the hospital is facing a lot of challenges, from infrastructure and even drugs. “I challenge you not to burden Central Government every time, as you have such philanthropic members. It is President Mnangagwa’s wish through devolution, to use our local resources to develop our province. This is also in line with the objective to achieve a middle income economy by 2030,” said Cde Chadzamira.